Bill and Sil's intended journey was turned upside down. Their plans were thwarted, as the Canterbury Plains of the South Island of New Zealand were rocked and rolled by earthquakes and aftershocks. Travel arrangements had to be changed. Risks thought through. However, despite environmental challenges, these two very different characters began their journey. Little did they know it would be an adventure full of tears, love, and laughter. Join them as they travel through the devastated streets of Christchurch and across the two islands of New Zealand. Journeying from the southernmost point of the South Island to the northern most tip of the North Island. Tales of penguins on beaches, glaciers, thermal pools, ever changing scenery and an insight into some of the history of this fascinating country. Sometimes witty, sometimes sombre. 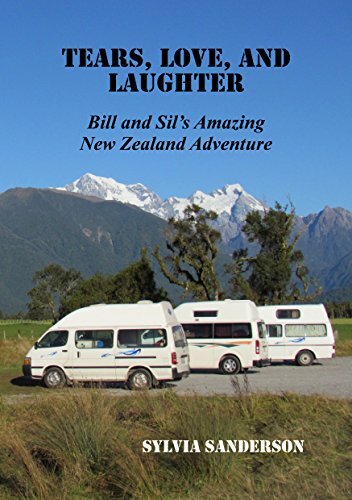 This is Bill and Sil's Amazing New Zealand Adventure. Sit Back. Relax. Enjoy the experience.